All those engine performance mods will equate to nothing without a strong and reliable clutch system. You need to transfer the power to the ground in order to achieve impressive acceleration and lower lap times. Clutch Masters is the maker of premium clutch systems for streetcars and high-performance racing vehicles. If you previously thought that installing a racing clutch will give you a sore left leg, you better think again. Utilizing many years of experience in the manufacturing industry, Clutch Masters clutch systems are second to none in the high-performance aftermarket industry. The brand re-engineered their impressive lineup of performance clutches to deliver exceptional clamping force with a softer pedal operation. How did they do it? Simple. Clutch Masters was the first to innovate the Hi-Leverage technique. This simply involves changing the leverage or fulcrum point on the clutch pressure plate to increase clamping power without compromising the pedal pressure. The result is a seamless clutch operation that delivers unparalleled clamping power while remaining easy and pleasurable to use. Racing clutches have traditionally been extremely hard on the pedal and requires a huge amount of force to execute. The overly stiff pedal pressure can affect many clutch components such as premature wear on the thrust bearing and engine damage. Clutch Masters engineers their clutch systems to deliver incredible performance and rock-solid reliability. 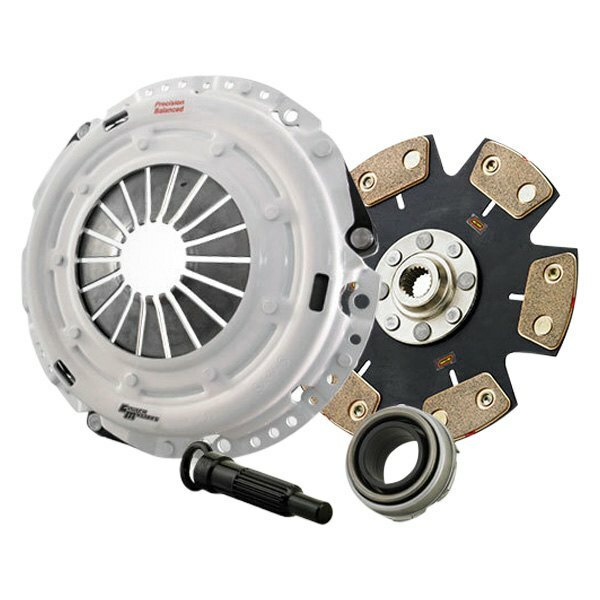 Whether you are looking for a single disc, twin disc, or flywheel clutch kit for any type of Japanese, European, or American car, you can depend on Clutch Masters’ complete line of performance clutches. Get the best deals on Clutch Masters clutch kits, clutch lines, aluminum flywheels, and hydraulic release bearings only here at Sam’s Motorsports. 2004-2015 Subaru Impreza Clutch Masters FX500 Series Clutch Kit, The Clutch Masters FX500 Series Clutch Kit is designed specifically to fit your 2004-2015 Subaru Impreza without any modification to your beloved Subaru Impreza. Clutch Masters FX500 Series Clutch Kit will also fit 2007-2009 Subaru Legacy. If this Clutch Masters FX500 Series Clutch Kit is not exactly what you are looking for to accessories your , please don't give up just yet. Our catalog has huge variety of parts and accessories for your .